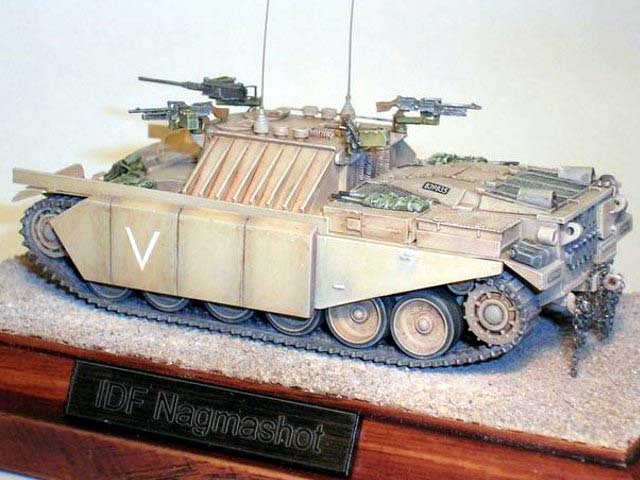 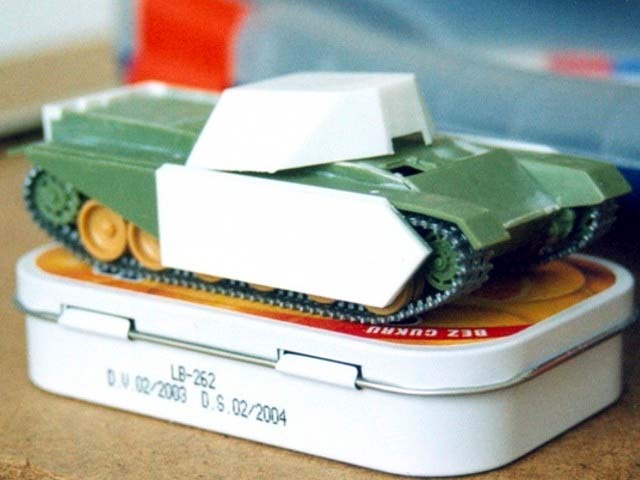 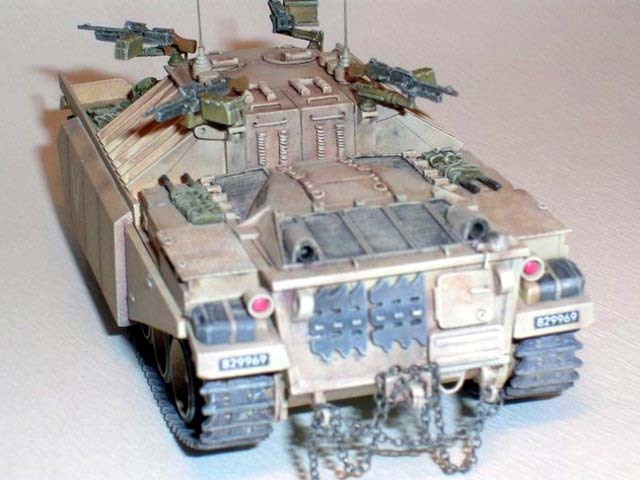 The base of this model is modified hull of Airfix centurion. 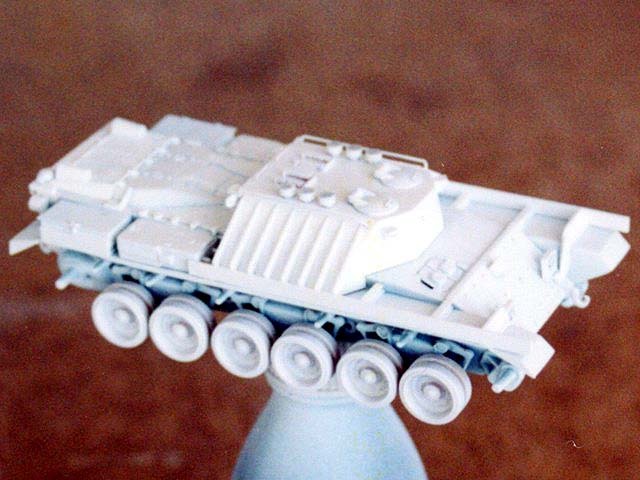 The wheels are from ESCI Merkava but I made grove for track teeth. 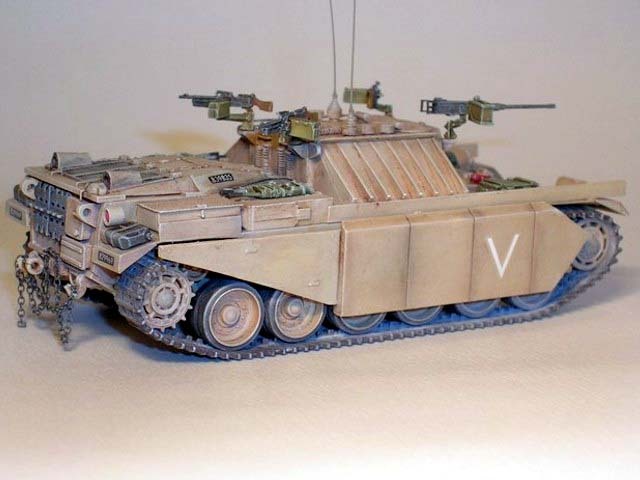 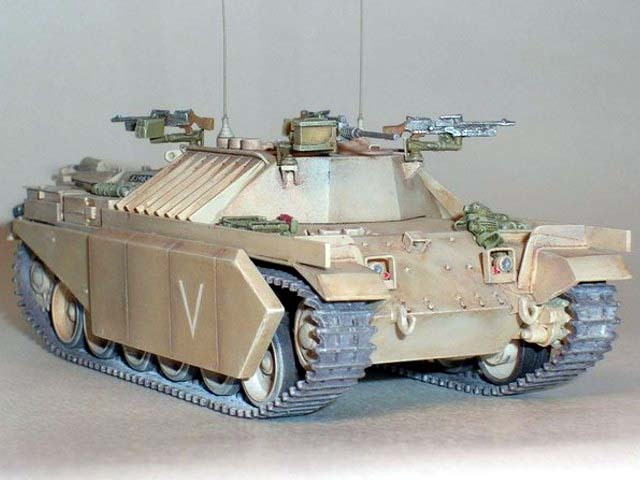 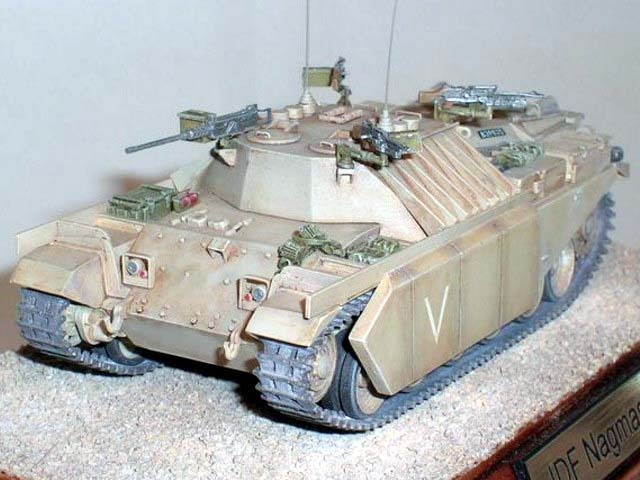 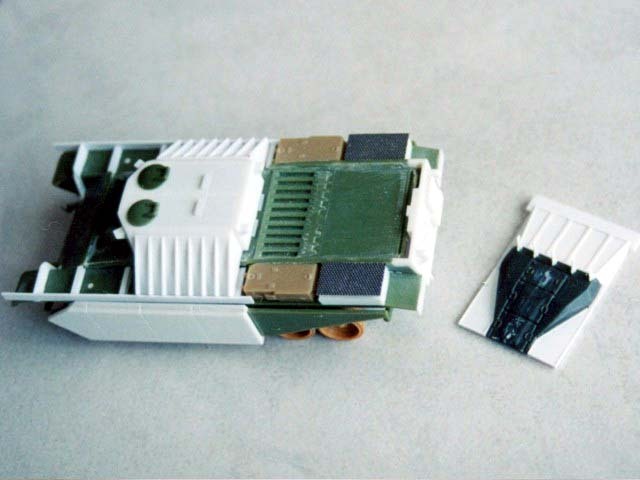 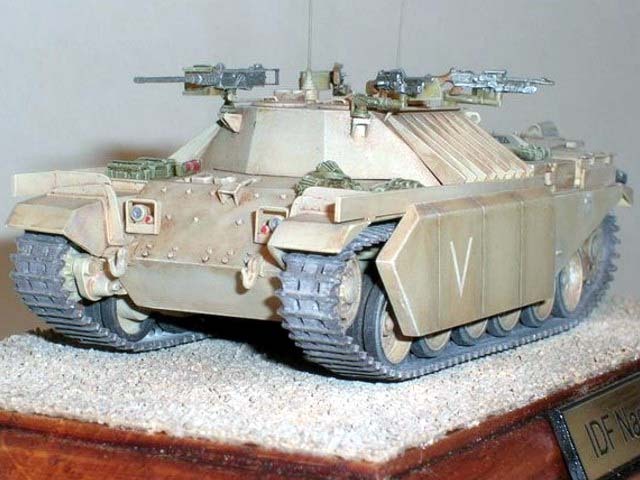 The front lights are from Italeri M113 and part of rear engine deck is from Galaxy M60 kit. 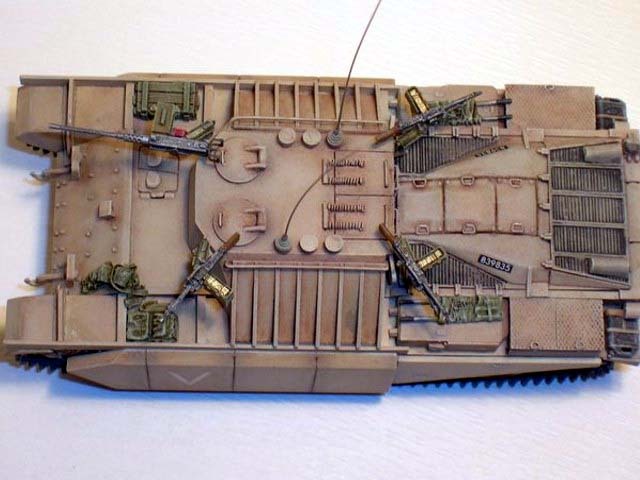 Cal.50 MG is from Extratech set and the weapons and other accessories are form Goffy. 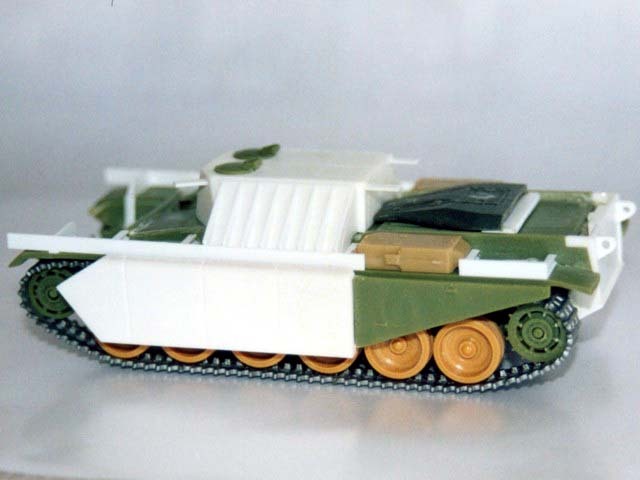 The rest of model is scratch made of plastic sheets, profiles, rods, wire and metal sheets. 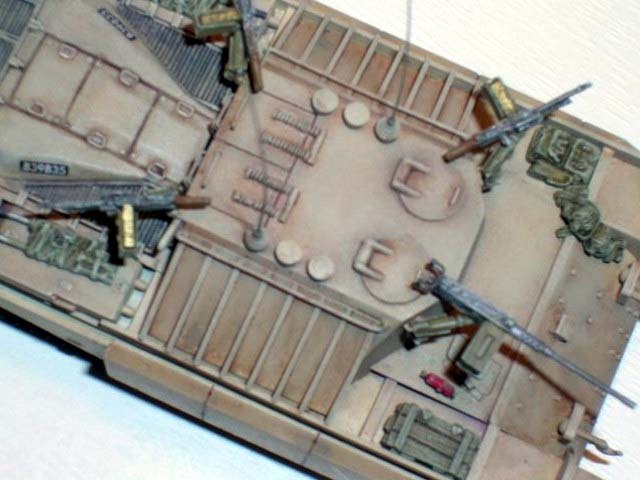 All model surface is airbrushed with Mr. Surfacer 1200 and than applied lightened Modelmaster IDF colour. 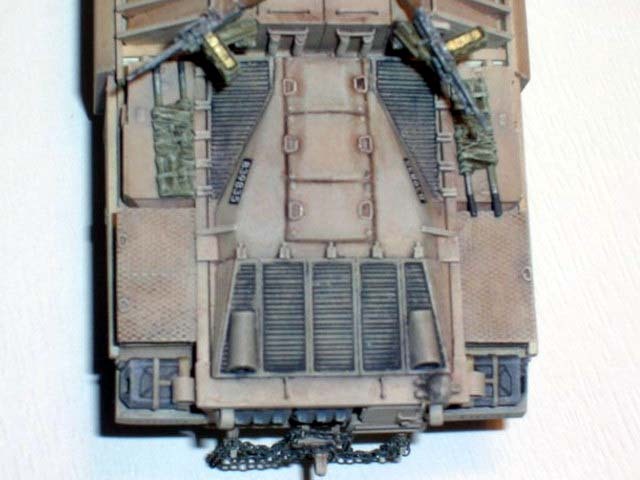 The final step were oil colours and pigments for weathering.